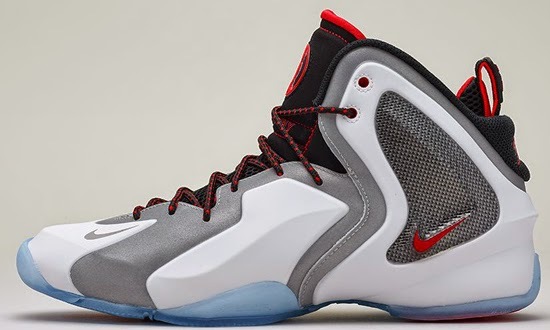 Three colorways of the Nike Lil' Penny Posite are set to drop later this week. 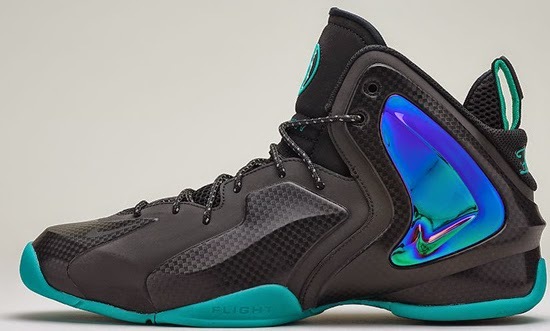 After debuting in May as a part of the "Shooting Stars" Pack, the Nike Lil' Penny Posite is set to release is three new colorways. First up, is a wolf grey, wolf grey and hyper pink colorway. Featuring a two-tone grey based upper with pink accents made to pay homage to Lil Penny’s love-first-ask-questions-later nature finished off by a full icy blue translucent outsole. Second is is black, black, reflective silver and hyper jade colorway. Featuring a black based reflective upper with carbon fiber print detailing, jade accents and a full glow-in-the-dark outsole. Third is a white, reflective silver, black and chilling red colorway. Inspired by Lil' Penny's prep days in Memphis, Tennessee. Featuring a a pearlized white upper and a carbon fiber wing with reflective silver, black and red accents finished off by a full icy blue translucent outsole. A general release, look out for these at select Nike accounts worldwide on Saturday, June 7th, 2014. Retail is set at $180 each as all three pairs will be sold separately. 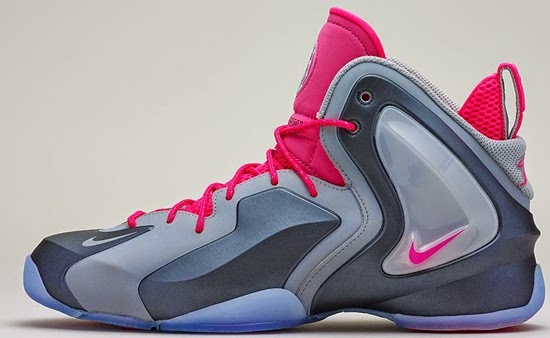 Enjoy the official images below of the Nike Lil' Penny Posite in wolf grey, wolf grey and hyper pink, black, black, reflective silver and hyper jade as well as in white, reflective silver, black and chilling red. If you're interested in picking any of these up when they release, check in with your local spots to see if they will be receiving them. Those of you looking for the wolf grey and hyper pink pair now can, grab them from eBay here. Those of you looking for the "Hyper Jade" pair now can, grab them from eBay here. Those of you looking for the white, silver, black and red pair now can, grab them from eBay here.